As Could Be is a sad lament to our crumbling labour force. 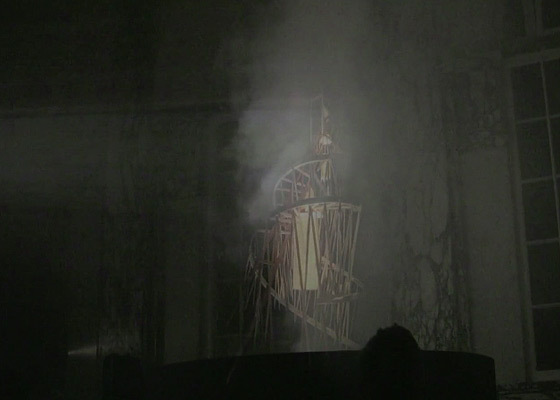 Commissioned by Nuit Blanche Toronto, situated within a derelict neo classical style bank, a 3D animation of Tatlin's Monument to the 3rd International is projected onto smoke. The sound composition by Isabelle Noel is made from interviews I conducted with Torontonians about what work means in today's economy.